The wristwatch. 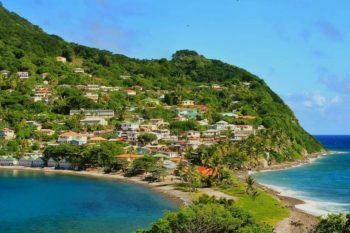 This small timepiece is one of the most ubiquitous accessories worn by both men and women, ever since the invention of the watches, back in the 15th century. Mechanical, automatic, quartz, digital and now even more. Smart. Widely used starting from the 17th century, the watch has evolved so much since its inception. It’s an element of style that combines fashion and function like no other accessory known to man. At first it was just the pocket watch, but after World War I everyone started to adopt the wristwatch all over the world. And since then, this timepiece became a must have item for everybody, no matter the occasion. Nowadays, even though phones have evolved so much and one would think that the wristwatch will soon be left behind and abandoned, you don’t need to look too far to prove it wrong. Watches are here to stay. And not only that, but they have also seen great progress, combining technology with watchmaking excellence. The smart watch is a wonderful – and often expensive – piece of gear that can do a lot more than its original role of timekeeping. They’re literally tiny computers worn on one’s wrist that can have functions such as GPS tracking, portable media players, thermometers, accelerometers, altimeters, barometers, compasses, fitness trackers, call or text message alerts. What more could one want from a smartwatch? 18k gold and diamonds? Yes, sure, anything is possible. The legendary Swiss watchmaker TAG Heuer jumps in the scene at number 10 with the model Carrera Connected, an Android Wear luxury smartwatch created in collaboration with Google and Intel. It was sold in limited edition, and the 1,000 units are probably gone by now. The titanium build and scratch resistant sapphire glass shelter a 1.6 GHz Intel processor powered by a 410 mAh battery which can keep the device running for a good 25 hours. 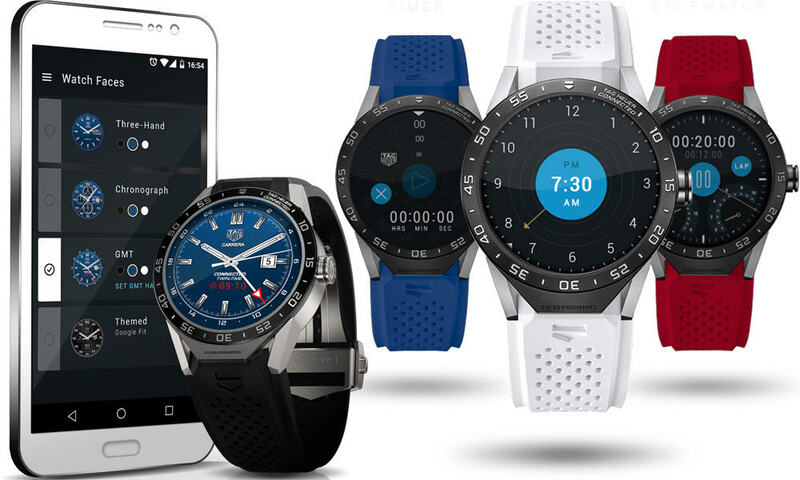 Built-in voice command and microphone, Google Translate, maps, Google Fit and many other apps available through the Google Play store plus sensors such as an accelerometer, a gyroscope or the GPS unit make this watch a very capable gadget. The price tag is a decent $1,500. 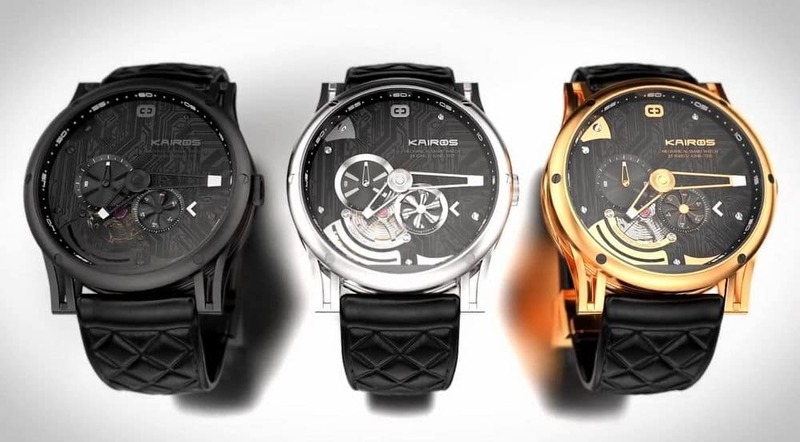 Going up $1,000+ is the Kairos Hybrid Watch. Why hybrid? Because the creators of this lovely timepiece thought about combining the charm of the classic mechanical watch with the newest technology available on the market today. Therefore, the Kairos combines an automatic movement, stainless steel and a crystal sapphire glass with a bluetooth 4.0, a USB, touch, gyroscope and accelerometer sensors, a semi-transparent OLED display plus alerts and notifications on calls, texts and emails, activities monitoring or a remote control for your PC. All that for the hefty sum of $2,549. 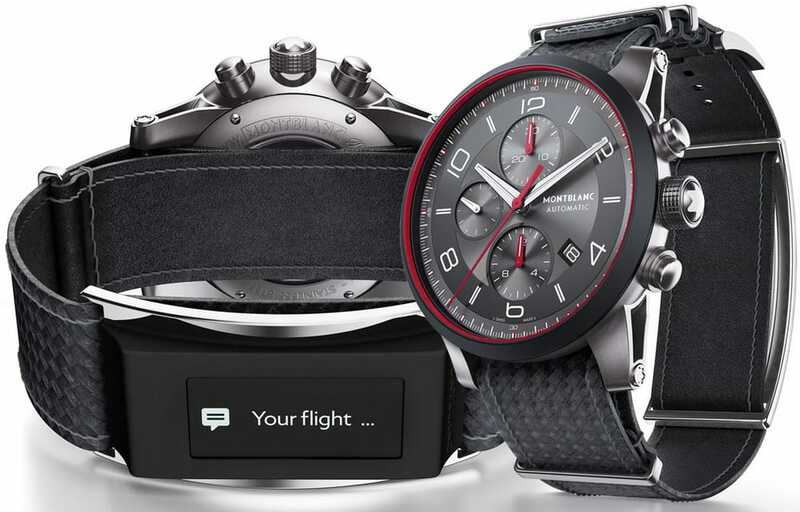 The renowned German luxury brand Montblanc combined their magnificent watchmaking skills with a wearable technological device in an intelligent solution called the e-Strap. The Timewalker comes with a classic looking tri-compax style chronograph layout in a polished steel case, but it has an interesting surprise. The smart strap offers text, email and social media notifications, bluetooth connectivity, remote controls, a physical activity tracker and calendar and it can connect to Android and iOS smartphones. This beautiful uncompromising combination of style and technology comes with a price tag of $4,000. 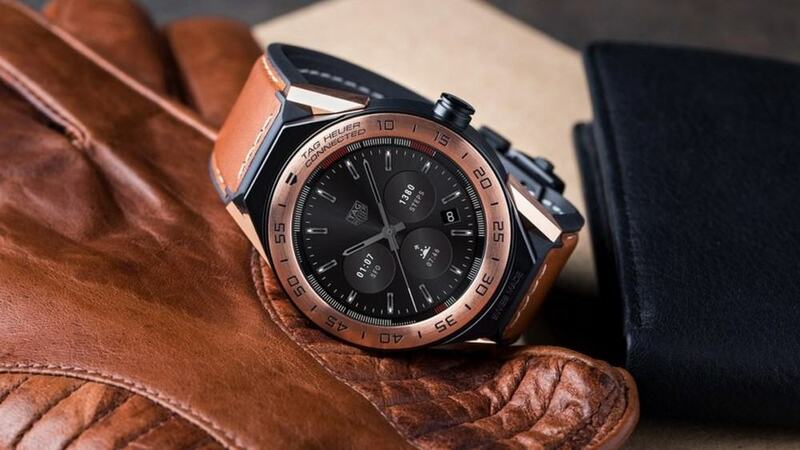 TAG Heuer is getting serious with another product on our list, the Connected Modular 45. This time the gorgeous watch before you comes with a grade 5 titanium case with satin finish and a scratch-resistant crystal sapphire glass with a diamond bezel. The price tag for it is a cool $6,750. Why so much? Oh well, the diamonds, the satin finish and the laser engraving all push the price up a bit. Too much? That’s up for you to decide. With an unforgettable name, the Breitling Exospace B55 leads your thoughts to high and far horizons. 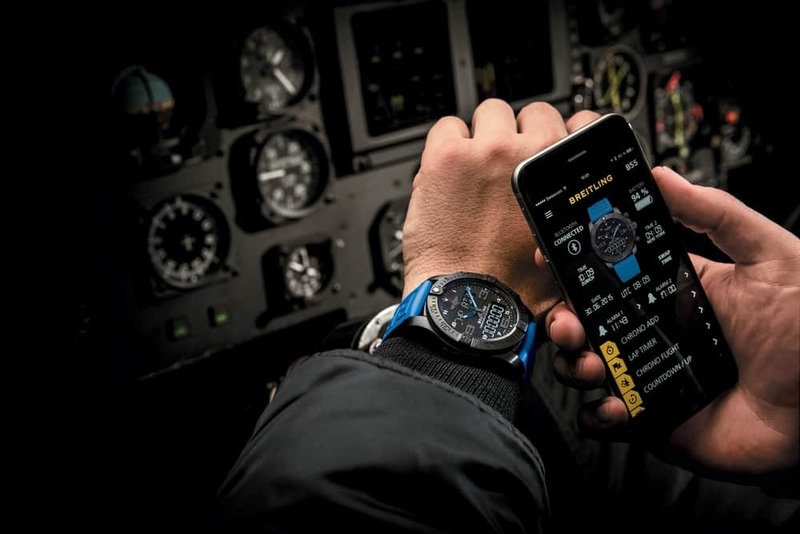 The Swiss company is well known for making aviator watches, but this time it comes with a new-generation device that brings connectivity and smart technology into play. And let’s not forget about the original tailor made pilot functions. The case is made out of titanium and the glass is a glareproof coated crystal sapphire. The B55 can show emails and other instant messaging notifications or calendar reminders while also logging flight data and measurements. The price for this high flying beauty rises also to the skies: $8,900. 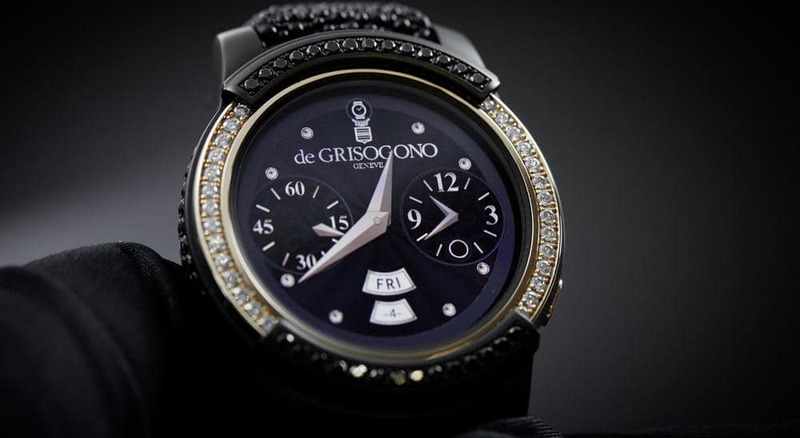 What happens when you put together Samsung and Swiss luxury jeweler de Grisogono? You get the best of the two worlds. 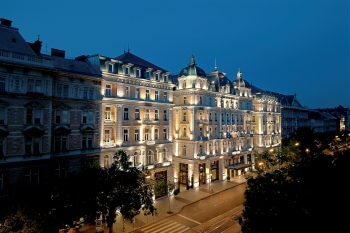 Elegance, style, beauty, innovation and originality. You get the Samsung de Grisogono Gear S2, a prestigious high-tech device made for select wrists. The impressive Samsung Gear S2 technology comes encased in rose gold and over 100 black and white diamonds. It’s a limited edition luxury smartwatch and it comes with a price tag that surely isn’t for everyone: $15,000. The Apple Watch. I’m sure you’ve all heard about it. Everyone has. It’s everywhere. 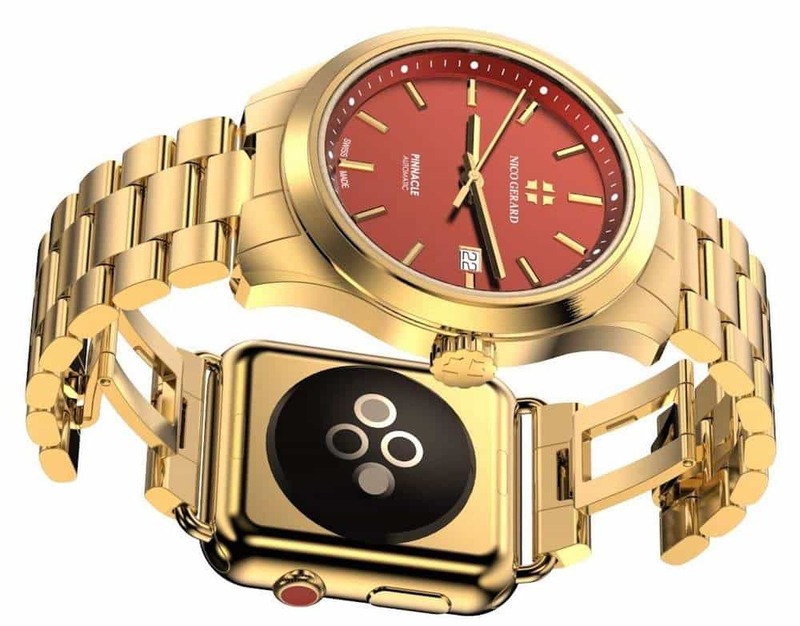 This smartwatch comes with your usual functions, notifications and connectivity. 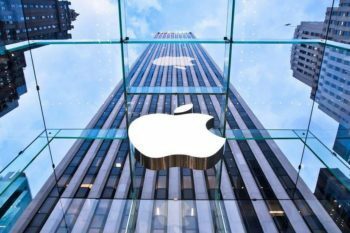 It’s basically an iPhone on your wrist, and although the base model comes with a price of $350, this one is a little bit more special. Or should we say expensive? Yes, but not just a little bit. It’s a whole lot more expensive, at $17,000. Why? Because it’s made of gold. 18k solid rose or yellow gold, and depending on the other options and wristbands, you can get it from $10,000 to the $17,000 price-tag. 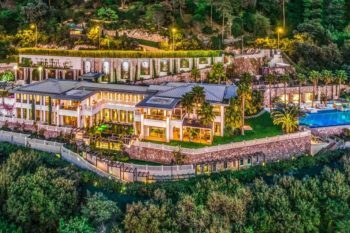 But if you think this is expensive, just keep on reading. 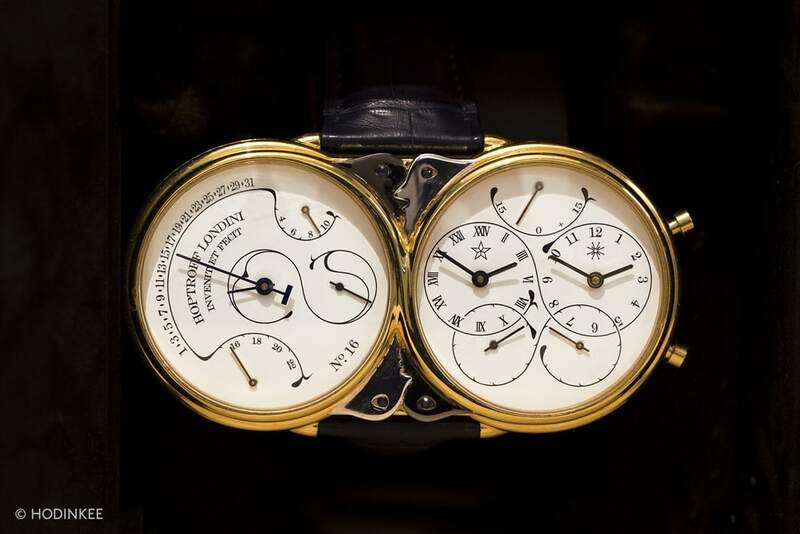 British watchmaker Hoptroff offers to the market another beautiful hybrid watch, a combination of classical mechanics, connectivity and luxury. The high end Hoptroff Atomic Wristwatch is not a smartwatch in the real sense, but it’s capable of syncronizing with your iPhone. It can also provide you access to your calendar logs so you never miss a meeting or appointment. To have one of this marvels, you need to pay a heavy $54,000. But there are special conditions to that. 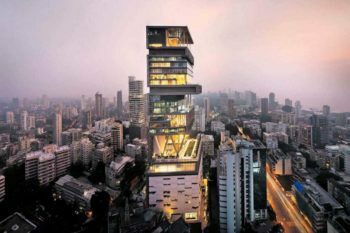 First you, need to deposit 25% to reserve it and then you’ll have to wait for 3 months to get into the possession. Too long? Oh well, think of it positively. 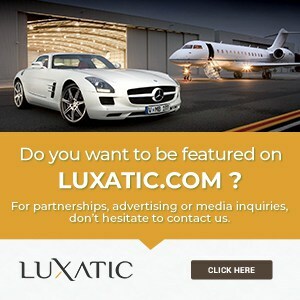 They offer you the time to save the money. Nico Gerard comes with a more bizzare solution for those who can’t decide between a classic watch and a smart one. Called the Sunrise Pinnacle, it comes with a classic luxury watch on one side, and an Apple Watch on the other side. But still, $112,000? Well, you get two watches in one. 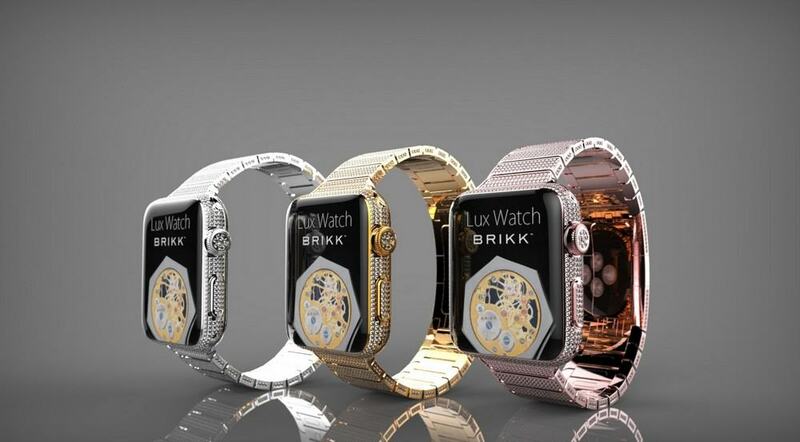 And not normal ones, but gold, since both the Sunrise Pinnacle is made from 18 Karat Gold and also the Apple Watch will be in its gold version. 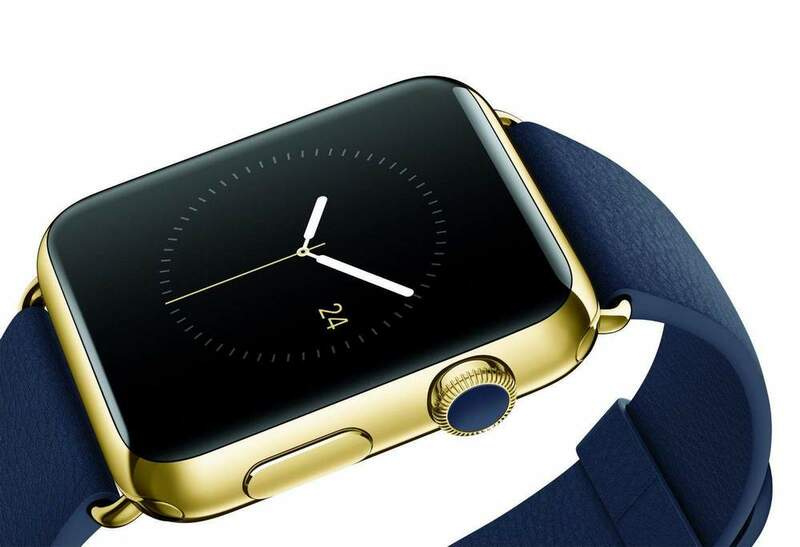 Number one on our list is a super luxurious custom designed Apple Watch. It’s called Brikk Lux Watch Omni and it comes in 18k yellow gold with loads of 12 karat diamonds around the face, buttons and strap. The strap is completely wrapped in diamonds and it also gives the price variation. 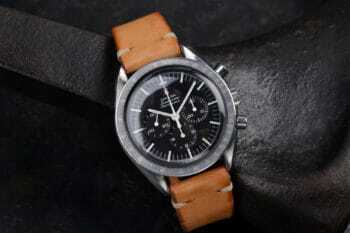 Depending on the size you need, the strap will have less or more diamonds, thus also modifying the price. Speaking of which, it’s between $109,995 and $114,995, which makes it the most expensive smartwatch in the world. The Aston Martin Vanquish Vision Concept Will Blow Your Mind!